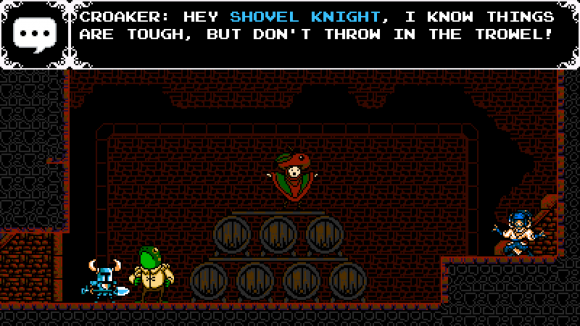 Shovel Knight: Don’t DITCH IT! 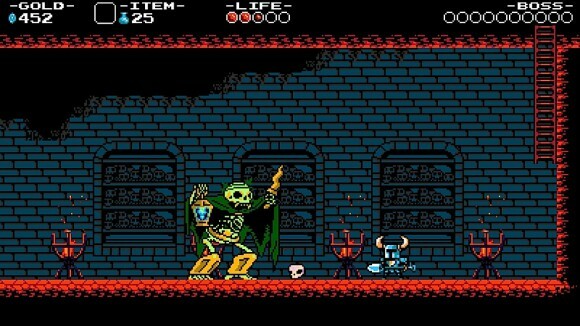 Shovel Knight is a very fun retro-style adventure title from Yacht Club Games that packs a ton of content into a small package. It’s been released for almost a year now, and I don’t know why it hasn’t been crowned King of the Platformers yet. 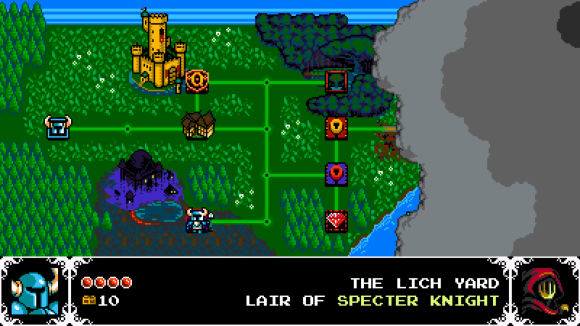 The game follows Shovel Knight as he travels the land in search of his companion Shield Knight, while simultaneously bringing down an evil band of knights called the Order of No Quarter. 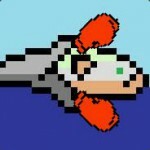 As soon as you open the game, your ears are serenaded with a wonderful chiptune soundtrack. There are a lot of nice things about this game, but the soundtrack is definitely near the top of the list. It’s what Megaman would sound like if the NES had a dedicated sound card and your TV from the 1980s had any idea what bass was. It’s upbeat when you’re traveling, it’s quirky when you’re talking to giant fish kings, and it’s intense when you’re beating the snot out of other knights or maybe just some dude you met on the road. Like the classics before it, the game is fun but challenging. The controls are tight, so every death is your own stupid fault, mainly from spike traps or bottomless pits. The enemies change up at a pleasing pace, with new enemies introduced in almost every level, with old ones making appearances as you progress. Some of them introduce new mechanics, like ghosts you can’t kill or bounce off of, or stupid idiot magicians that shoot spells at me from the top of the level while I’m trying to jump over death-pits. You kill forty measly wizards and nobody ever forgets about it. The game is packed full of items for you to use, with whole mini-levels based around some of them. They’re all fun to use: The wand that shoots fireballs; the amulet that turns you into a ghost; the fishing pole that lets you get hidden treasure; the platform that you ride over spikes like a Rascal scooter on steroids; the gauntlet that lets you punch everything to death. 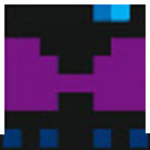 Upgrades are introduced later in the game, letting you improve your shovel or buy new armor that will alter how you play in small ways. I don’t know what this blacksmith is doing to make my shovel shoot sparks at stuff, but I like it! 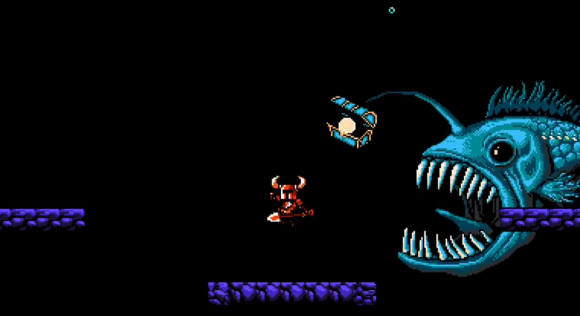 And then Shovel Knight’s eyeballs pop out of his helmet from rolling them so hard. The writing is pretty great, too. 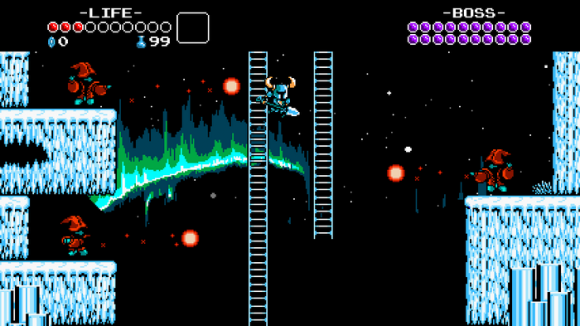 It can be dramatic, like when Shovel Knight is telling everyone “Hey we don’t really have to fight” before you stomp them into the ground. It can be sad, like your recurring dreams where Shield Knight is falling out of the sky and you’re fending off waves of enemies to catch her. Sometimes it’s hilarious, like when a crazy hat-store owner tries to murder for your beautiful helmet. It’s a well-rounded story overall, with just enough plot to keep you interested, but not so much that you get bogged down in it. There’s an ultimate goal, a few side stories, and some fun homages (like finding turkey in the walls in the Castlevania-inspired level). The game is a wonderful throwback. If you like Megaman-style platformers, this one is definitely one of the best. I’m trying to think of something about this game that isn’t fun, but I can’t really think of anything except maybe the stupid wizards. And the death pits. But it’s got good writing, fun mechanics, and great gameplay. This is definitely a title to pull the trigger on. Make that day today! It’s like Megaman with a shovel! Onoes, you aren't logged in.